Ready or not, Father’s Day is just a couple days away! I have to confess that I’m absolutely always that person needing last minute gift ideas for my dad. This year (as we have the past several years) we’re going to be celebrating by spending the day on the boat, island hopping and grabbing lunch somewhere on the river, but I’d also like to come up with something really fun to give him, too. 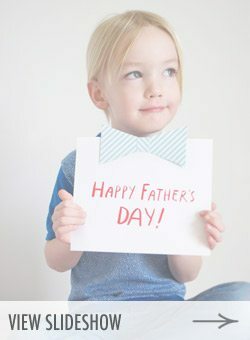 So today, I’m sharing 10 awesome DIY Father’s Day gift ideas that are perfect for those of you who, like me, still find yourself needing a gift for your dad or your baby daddy. With lots of leather and meat and all the manly things, click through for 10 of my favorite Father’s Day gift ideas!